CD Release Party for Craig Mcintyre’s "Silent" on March 26, 2009! 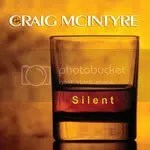 Craig Mcintyre and his full band will be celebrating the release of Craig’s latest CD, “Silent” with a CD release party on Thursday, March 26, 2009 at 8:00 p.m. at The Grizzly Grill, 395 Princess Street in Kingston, Ontario. Craig will be donating 25% of his CD sales to the Joe Chithalen Memorial Musical Instrument Lending Library (a.k.a. Joe’s M.I.L.L..), and is also putting together a gift basket with over $500 worth of goods. Tickets will be $10 and the proceeds will go to Joe’s M.I.L.L. as well. Good News From Camp Voss – J.J. Voss That Is!